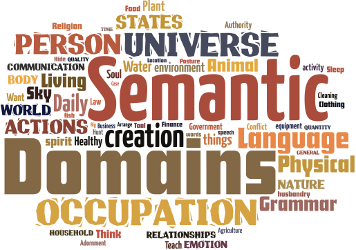 This list of semantic domains was produced in a workshop by Lugwere speakers. The workshop was the second of two workshops designed to develop an emic list of domains for a Bantu language. The first workshop was for the Gikuyu language of Kenya. The second workshop was for Lugwere of Uganda. The Lugwere speakers were first asked to group 1,000 Lugwere words into piles of semantically similar words. They classified the 1,000 words into approximately 100 domains. They were then asked to add other words and create additional domains as needed. They added 2,000 words to the original 1,000 and ended with 300 domains organized in a hierarchy.